Steven (Chicagoland, United States) on 5 July 2012 in Plant & Nature and Portfolio. 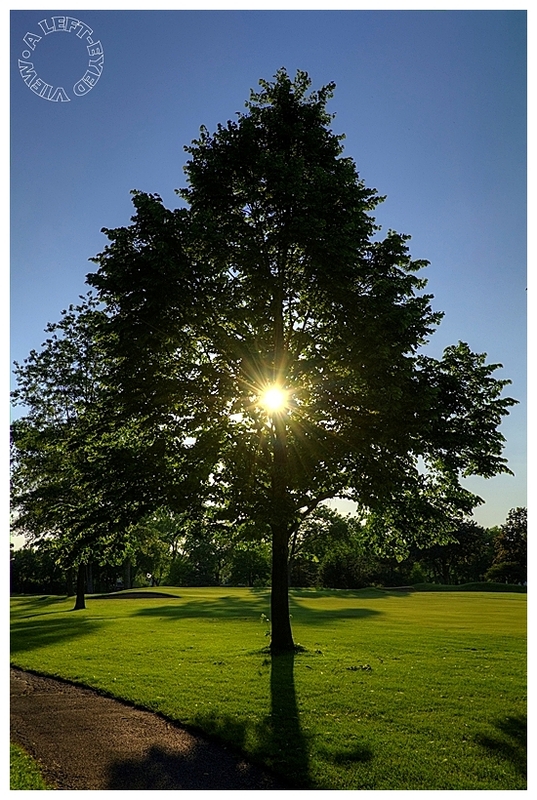 Sunburst seen along the first hole fairway of Glen Flora Country Club in Waukegan, Illinois. The pin for the green can be seen toward the background and between the two trees. Photo captured June 2, 2012.
really fantastic sunburs and rays! great compo Steven!!! Magnifique ce soleil qui apparait au travers des branches. Fabulous sun rays through a beautiful framing! Excellent composition...especially the capture of the sunburst within the tree! Two thumbs up! Superb composition with an excellent framing. Colors and lght are very nice. I like it. Have a lovely afternoon Steven. Amicably Antoine. Excellent sunburst through the trees, Steven. Great eye for this shot! A wonderful capture through the tree. Beautiful shot! The light and colours are superb and the sunburst is magnificent! Beautiful photo, a wonderful moment when the sun must be pleasant to your eyes ! The green is astonishingly pleasant. I really hope you've been well Steven. Perfect.. everything as it should be in this superb image. I love this. Nature at its finest. Gorgeous color, light, and shadows. This is a beautiful compositon! A sun tree. In the fall you pick some sun to store for use over the winter. Terrific, and an unusual placement of the sun in a composition. I like the star-burst effect of the sun through the tree. Nice greens and shadows.